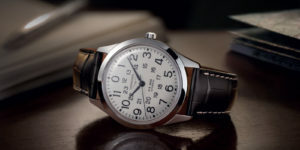 Longines raises a toast to its glorious history with the Heritage 1918. 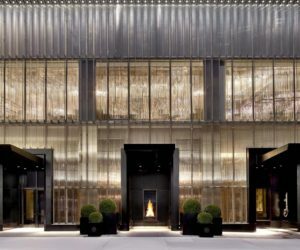 It pays to have a long and storied history, especially for those in the luxury business; Longines is such a fortunate one. The fact that it was founded in 1832 means that as of 2016, the company has been in existence for 184 years – just 16 years shy of two centuries. 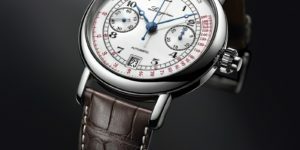 With such an extensive background, it is certain that besides a stable of beautiful watches, Longines also has some very impressive archives detailing all that it had produced, through the ages. Accordingly, the company today has enthusiastically, and respectfully, mined its heritage for creative inspiration. 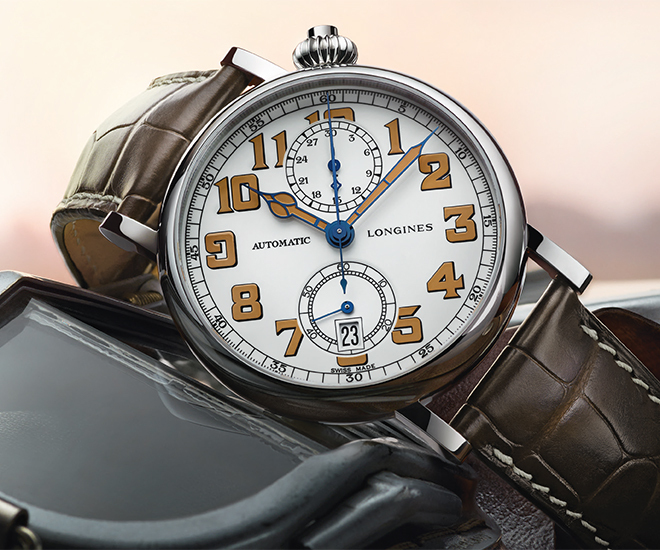 The Longines Heritage 1918 continues the firm’s winning streak of historical remakes. Embodying a style redolent of the early 20th century sensibilities, it is at once ornate yet sober. Its 41mm diameter may be modest by today’s standards, but back in the day, this size was perfectly apt – for a pocket watch, that is. 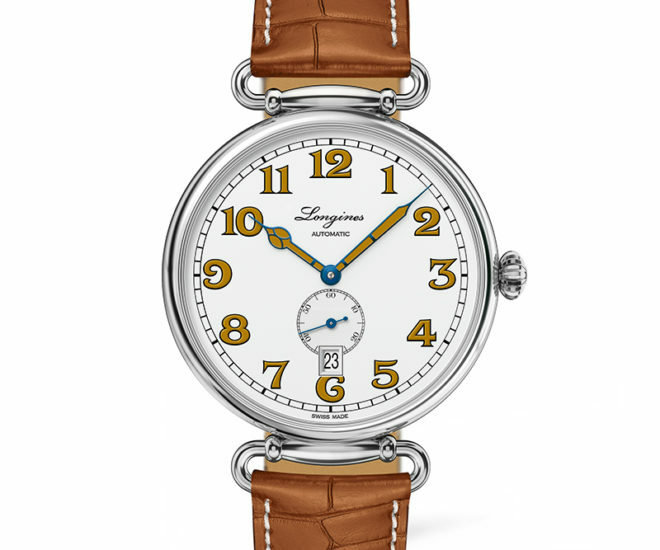 Indeed, a Longines pocket watch made in 1918 provided the inspiration for this timepiece. All of the vintage aesthetics had been dutifully preserved, from the looped lugs and the onion crown to the fancy numerals and hours and minutes hands. 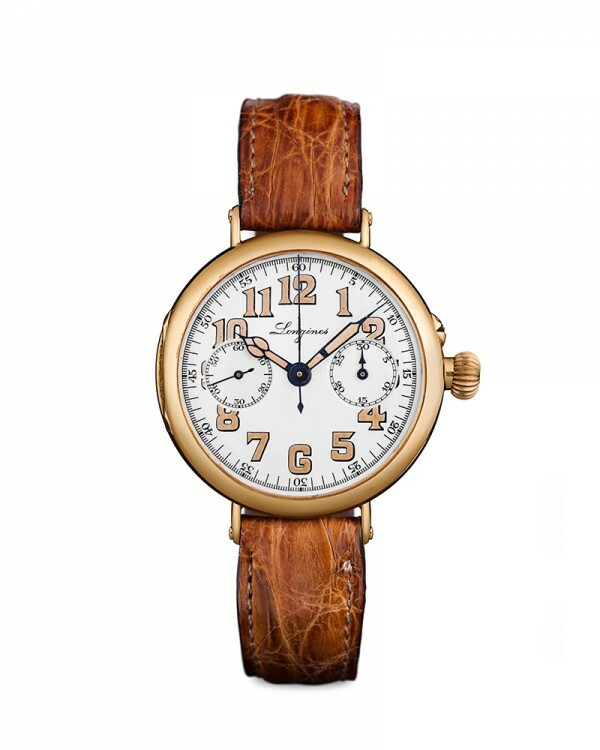 Those who are familiar with vintage watches might have noticed its resemblance to early aviation watches by now. 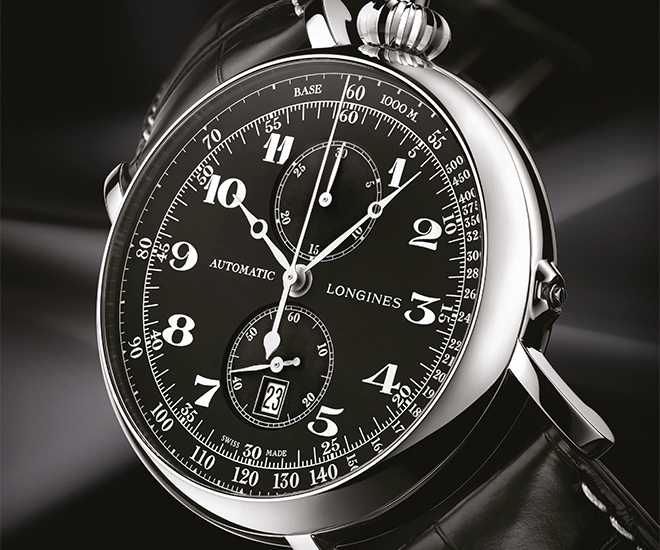 Adding on to the vintage theme are the historical Longines insignia used in place of the contemporary one, which is often accompanied by the winged hourglass logo that is practically synonymous with the company. The elegant chemin de fer minute track discreetly maintains order around the white lacquered dial, while a small seconds sub-dial sitting above a simple date aperture tenaciously forges its own path. The numerals and hands are made in blued steel and given a honey-coloured varnish that harmonises perfectly with the alligator leather strap in the same tone. 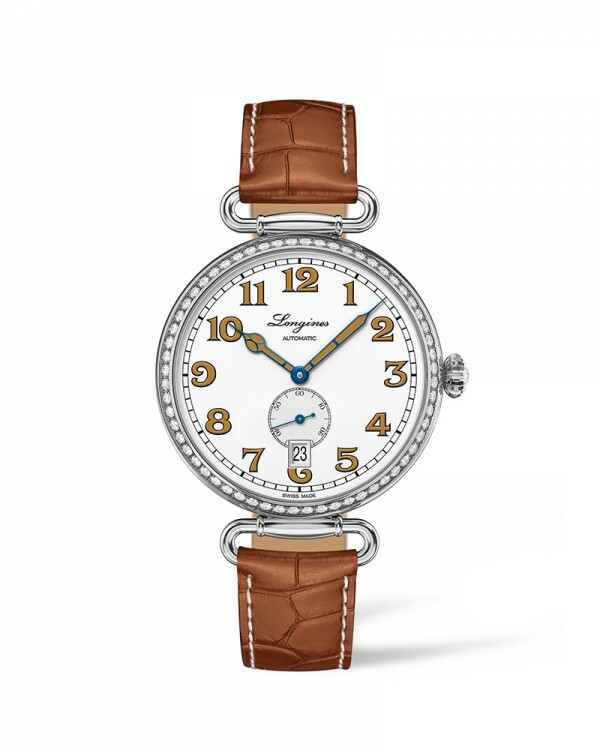 Longines is offering two variations of the Heritage 1918, both almost identical save for a row of diamonds (Top Wesselton VVS) totalling one carat around the bezel of the smaller piece. This makes it an ideal couple’s watch for antique hunters or simply those who appreciate a little throwback every now and then. 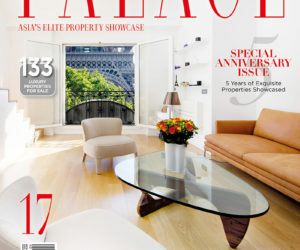 This article was first published at World of Watches.